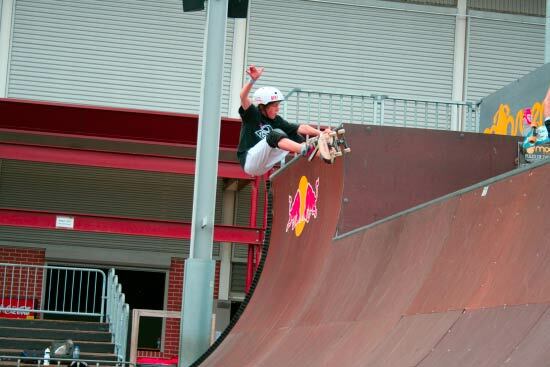 He's been skating for approx. 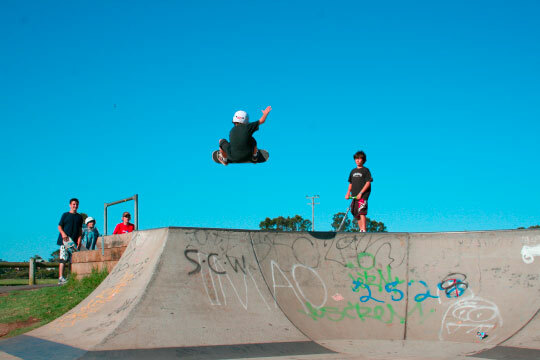 10 years, he started at Fairy Meadow skate park, now he lives and skates around Shellharbour. 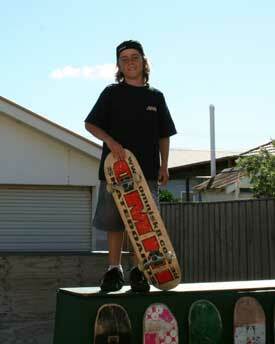 He rides a 7.625 size deck and usually rides 'Destructo' BAM trucks and Omni Core 53mm wheels. 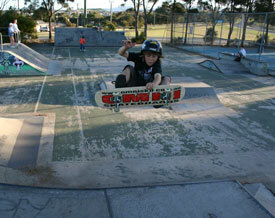 His favourite skaters are Tony Hawk, Rodney Mullen and Colin Mc Kay, to name a few. 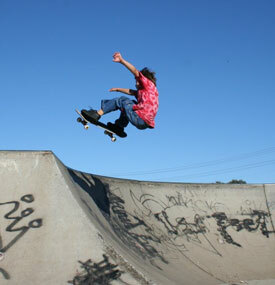 Other sports/hobbies he enjoys are surfing, fishing and playing the guitar. He also plays soccer for Shellharbour and a bit of golf.